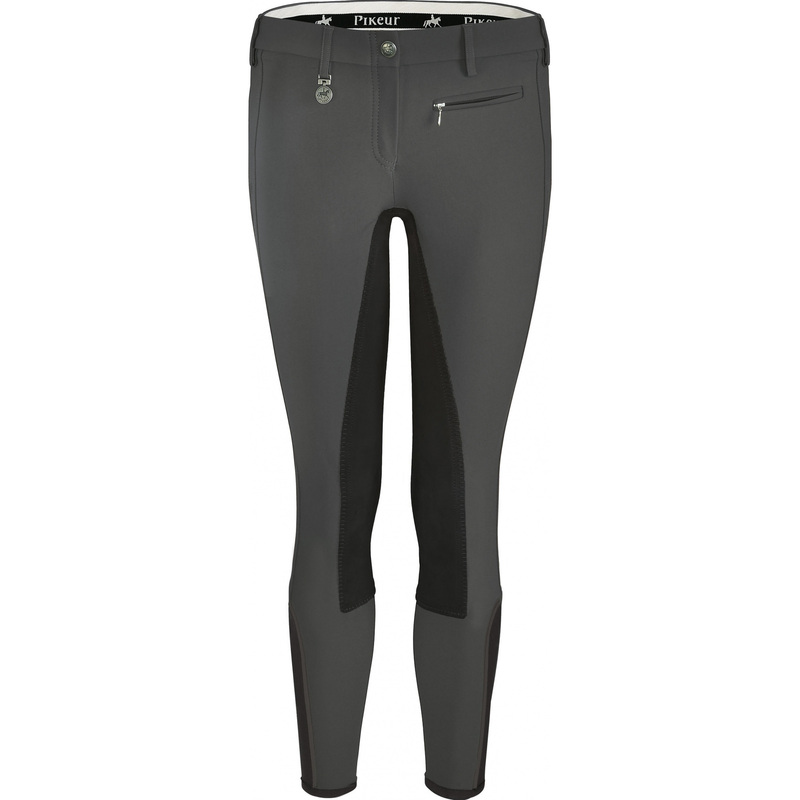 Ladies breeches with contrasting full seat and elastic inserts on the bottom of the legs. 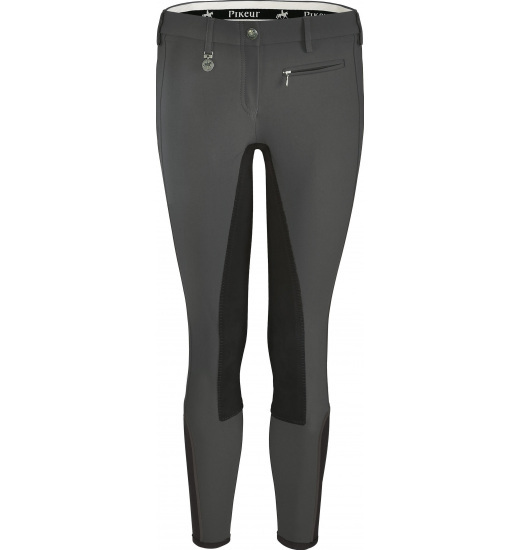 They have one zippered pocket on the front left side , and a large, embroidered l PIKEUR inscription on the left leg. Comfortable and durable.